Recently, The New York Times ran a long article, "Why Windows 10 Upgrades Go Wrong, and How to Avoid It," that featured questionable claims and large omissions. This is my attempt to set the record straight. I was lucky enough to get feedback on the article from Woody Leonhard, who writes about Windows for InfoWorld, and Leo Notenboom who, for years, has been answering questions about Windows on his askleo.com site. Both are experts on the subject and live on the front lines when it comes to battling Windows. Unlike the expert in The Times' article, Notenboom and Leonhard have public presences online, allowing you to judge their expertise for yourself. I trust them. No doubt many others would have weighed in too, had they been given the chance. For whatever reason, The Times did not allow reader comments. 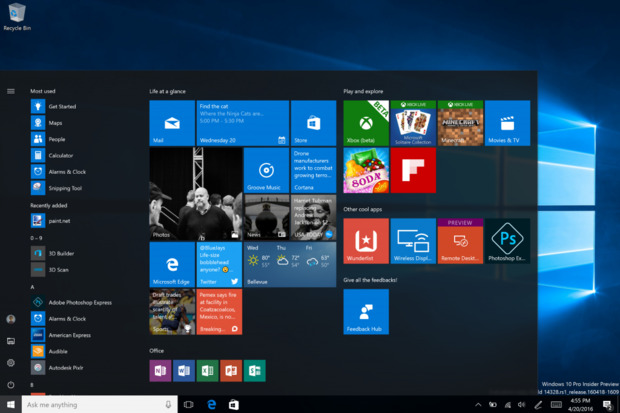 ... the consensus among information technology professionals is that upgrading to Windows 10 is a wise idea because the system is faster, well built and more secure. I completely disagree. There is no consensus that upgrading a perfectly working Windows 7/8.1 machine to Windows 10 is a wise idea. Here in Computerworld, for example, when Windows 10 was released, Preston Gralla took both sides, calling it an operating system you can love, while also providing "9 reasons not to upgrade to Windows 10 -- yet." Woody too, wrote both "10 reasons you should upgrade to Windows 10" and "10 reasons you shouldn't upgrade to Windows 10". Should you upgrade? Like so many things, it depends ... If you’re running Windows 8 or Windows 7, and you’re happy doing so, I still don’t see a need to rush into Windows 10. This really is a case of “if it ain’t broke, let’s not fix it” ... While Windows 10 does bring improvements, there’s nothing I’ve seen that would really push me to recommend updating an otherwise working Windows 7 or 8 system that you’re happy with. Back when Windows 10 was initially released, I wrote that the time to upgrade was when you wanted or needed to run software that was only available on Windows 10. Like Notenboom, I don't think Cortana or the Edge browser rise to that level. Capturing the “free" upgrade runs the risk of costing you much more in time and energy should something go wrong. Instead, just plan on Windows 10 being pre-installed on your next machine, whenever that might be. This is an excellent point, and one that has been true for ages: The best way for non-techies to get a new version of Windows is to buy a new computer. Sure, us nerds can upgrade, we know the things in the rest of this article, but non-techies are far less prepared for the problems that might arise. There never could have been a consensus that upgrading to Windows 10 was the way to go because everyone has different needs and priorities, so many of which were not mentioned in The Times article. For example, even if the upgrade works perfectly, the user interface of Windows 10 is different than that of Windows 7 and 8. For many people, this alone is a reason not to upgrade. Techies love change, its a chance to tinker with something new. Many others, who couldn't care less about computers, but are forced to use them, want no part of a different interface. Getting up to speed on the way things work now was difficult enough. One of the biggest omissions in the article accounts for much of the resistance to Windows 10: telemetry, a.k.a. spying. While some don't mind the idea of Microsoft tracking how they use Windows, many do. And, just like ads are the cost of viewing this page for free, so too, ads are part of the reason Windows 10 is free. There are ads on the Start menu and the lock screen and more are on the way. Another upgrade consideration that the article only alludes to is that some software may not work on Windows 10. And, the upgrade process removes some features present in the older versions of Windows. You also lose a bit of control when upgrading to version 10. The older versions of Windows allowed total control over the installation of bug fixes. Version 10 removes this control (except for corporate editions), making it a poor choice for anyone using Windows for something they consider important. There are many circumstances where a computer owner would rather live with known bugs than be interrupted, or, take a chance on new software breaking something. Another fallout from the mistaken impression that all techies think "upgrading to Windows 10 is a wise idea" is the failure to mention two utilities that block the installation of Windows 10 -- GWX Control Panel and Never10 from Steve Gibson. Both programs are free and highly recommended. Never10 is the new kid on the block having just been released a couple months ago. Yet, it has been downloaded over 738,000 times. That the article calls Windows 10 "more secure" bothers me no end. For one thing, this is standard boilerplate language that Microsoft uses every time they release a new version of Windows. And, while a new version of Windows may be more secure than previous editions, this re-directs attention from the bigger picture: Windows is the least secure operating system in wide use. All the other major choices: OS X, Linux, iOS, Android and Chrome OS are more secure than Windows. In part this stems from the popularity of Windows, but it is also due to the system doing a poor job both of defending itself and isolating applications. And, non-Microsoft software just adds to the problem. Many anti-virus programs have been found to contain vulnerabilities and Duo Security just reported security issues in the software that hardware manufactures pre-install to update their own drivers and applications. They looked at Acer, Dell, Lenovo, HP and Asus and found bugs with all of their software. A few days ago, Martin Brinkmann of gHacks wrote about Windows 10 Limited Periodic Scanning, a feature that lets you run two antivirus programs. More secure? Really? The Times article does point out that the basic issue of whether your computer and peripheral devices are compatible with Windows 10 is a crap shoot. ... if you could assure me that EVERY application would still work, all printers, all devices, everything worked 100% with Windows 10 ... I should be ... glad this is happening ... But here’s the thing, people have old stuff. People can’t always afford to buy a new printer at the drop of a hat or buy new software every time there’s an major release that causes it to no longer work. Leo Notenboom said by email that he "hears from too many who believed the compatibility test and ended up regretting it." The issue of printers not working with Windows 10 came up twice in the article, and it bears repeating. Notenboom wrote that "The biggest issue I hear about from people who successfully upgrade to Windows 10 is peripherals like printers and scanners that no longer work, and for which there is no plan for updated drivers to make them work." Before considering an upgrade, the onus is the owner of a Windows 7 or 8 computer to check that their printer will still function. Specifically, this means going to the website of the printer manufacturer, finding the Support section, entering the printer model number and reading carefully. The price of the free upgrade may be a new printer. Owners of an all-in-one device need to verify that it will not only print, but also scan and fax after Windows 10 is installed. Nothing in the article got me angrier than this: "Before starting an installation, back up all of your data". Taken at face value, the advice is correct, but it is also woefully incomplete. Any competent techie would advise making an image backup, either in addition to, or instead of, simply backing up data files. An image backup backs up everything which makes it King of the Hill in backup land. The term "image" comes from "picture"; an image backup is like taking a picture or snapshot of the entire hard drive. Get infected with a virus, malware or ransomware? Restore the system to the last image backup. Hard drive dies? Buy a new one and restore to the last image backup. Something goes wrong upgrading to Windows 10? Restore an image backup from just before the upgrade. For whatever reason, image backups are the Rodney Dangerfield of computing, they get no respect. Sure, Microsoft has a system to fall back from Windows 10 to the prior version of Windows, but trusting it would be a rookie mistake. Frankly, you should not take advice from anyone who does not recommend an image backup before an operating system upgrade. Woody recommended image backups back in February, writing that "Before you change any operating system it’s a good idea to make a full system backup." Commenting on the Times article he added that "your first task should be a full disk backup before you upgrade. That way, if you don't like your new Win10, you can move back to Win7 without having to rely on Microsoft's rollback mechanism"
The call to “Back Up Your Data” doesn’t come close to being enough. When an upgrade fails part way through, as has happened to some, you may be left with an unbootable machine. The most reliable way to ensure that you can recover from this, or any type of failure, is to begin the process with a complete system image backup. Yet another Windows expert, Paul Thurrott, suggests making both an image backup and a separate data backup. Writing for The Guardian, about preparing for a Windows 10 upgrade, Jack Schofield wrote "I use a backup program to copy the whole hard drive. This is the quickest way to recover from a hard drive failure or similar catastrophe." There are many image backup programs to chose from. Leo Notenboom likes Macrium Reflect. Woody Leonhard notes that while many recommend Acronis True Image, "Windows 7 and 8.1 have good system image programs as well". Steve Gibson likes Drive Snapshot. Jack Schofield also suggested EaseUS To Do Backup Free and CloneZilla. I use Shadow Protect. Finally, when making image backups, the Defensive Computing approach is to backup all the partitions, not just the one with Windows in it. There are many things we can do to increase the chances of a Windows 10 upgrade succeeding. None of these were mentioned in the article. Jack Schofield, of The Guardian, suggests un-installing anti-virus software, writing that "AV programs have hooks deep into the operating system, and AV companies therefore tend to create new versions of their software for new versions of Windows. It makes sense to uninstall the old version for Windows 8 and install the new one for Windows 10." He also suggests running Windows Update "to make sure you have installed all the essential patches for your current operating system. Windows 10 will install updates before it installs itself, but it’s simpler if it doesn’t have to." Simpler is better. Another simplification Schofield suggests is removing old logs, error reports and browser caches, either with Windows’ built-in Disk Cleanup tool or Piriform’s free CCleaner. And, he suggests unplugging peripherals before upgrading to "stop Windows 10 from spending ages trying to find up-to-date drivers: it can do that later, when you plug them back in." I would also suggest running the Windows Check Disk utility; we don't want to perform thousands of file operations unless the underlying file system is in perfect shape. If it finds any issues, run it again to insure that the problems were fixed. You may also want to check Device Manager to insure there are no problem devices before upgrading. After the upgrade, Windows 10 needs to be activated, a process that can fail either initially or at a later time. To prepare for this, you should make a note of the Windows product key before upgrading. Knowing the key should also allow you to do a clean install of Windows 10 should the need arise. The product key may be on a sticker, stored in the in the BIOS/UEFI or in the Windows registry. Lowell Heddings has a good article on tracking it down. My final suggestion is to reboot the system just before upgrading. It's best to start off clean. As for the actual process of installing Windows 10, the article says "Microsoft designed the Windows 10 upgrade to be seamless — a push of a button and you get going." It is not that simple. There are at least four ways to upgrade. This was a lesson I learned the hard way. After reading other equally non-informative articles about upgrading to Windows 10, I tried to upgrade a Windows 7 machine only to have the upgrade fail with an "unknown error". No harm, no foul - Windows 7 continued to work fine.